Embittered healer Blackthorn, wrongly condemned to death, is offered a lifeline by a mysterious stranger. In return, she must set aside her bid for vengeance against the man who destroyed all that she once loved. Not only that: for seven years she must agree to help anyone who asks for her aid. She and her companion Grim settle on the fringes of a mysterious forest in Dalriada, far from the place of their incarceration, and start a new life. Oran, the crown prince of Dalriada, is waiting for his bride-to-be, Lady Flidais. Her letters and sweet portrait have convinced him that she is his destined true love. To save Oran from disaster, Blackthorn and Grim will need courage, ingenuity, and more than a little magic. 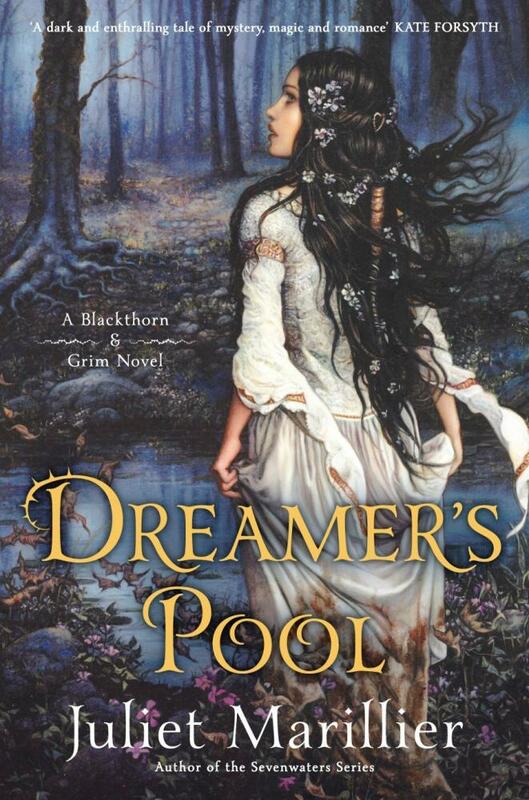 Juliet Marillier is one author that only seems to get better with every book she writes. ‘Dreamer’s Pool’ is a beautiful, magical, amazing story. Juliet Marillier is one of those rare authors who has an almost magical quality to her writing. You actually feel like you are there in the story, lost in an long ago forgotten land. You can smell the woods, feel the warmth from the fire and the cold from the rain. You share the characters heartbreak and want give them comfort. Blackthorn, Grim and Oran, the main characters were easy to love and the way each chapter was told through from one of their perspectives added so much to the book. For those people out there who are thinking, no I don’t like that; stop right now. This only added depth to the story and allowed you to really understand the characters. From what I understand this book is the first in a new series and I must say I am really happy. I know I can come back and get lost in the magic of Juliet Marillier’s writing. If it sounds like I have gone on too much and that one book can not be so enchanting then I am sorry; but it is rare when you can really loose yourself in a book and absorb every word. This is one book that should be read slowly, so the beautiful descriptive writing can be savoured. This entry was posted in Australian Authors, Fiction and tagged Dreamer's Pool, Juliet Marillier, Parramatta City Library by admin. Bookmark the permalink.